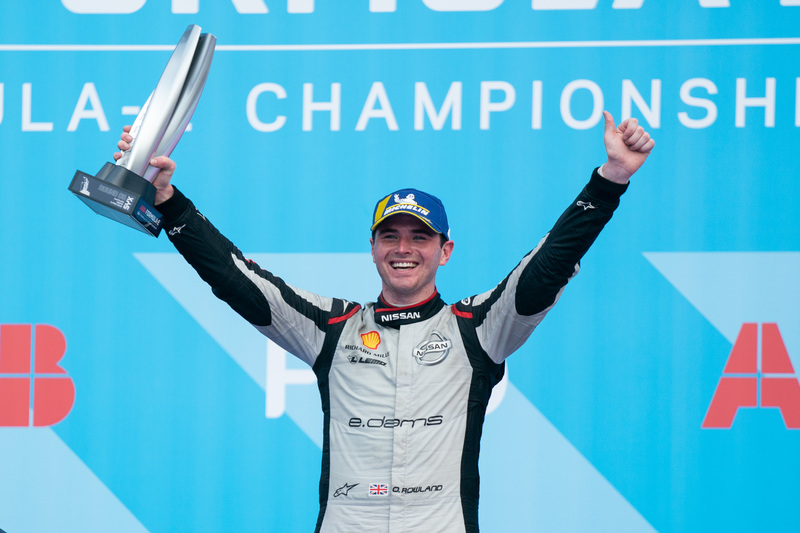 Nissan e.dams has scored its first podium in the all-electric ABB FIA Formula E championship, with British racer Oliver Rowland finishing second in the Sanya E-Prix in China. Rowland started from pole and led the first 18 laps of the race en route to his and the team’s first championship podium since partnering with Nissan at the start of the current season. The Nissan e.dams team recorded its best points finish of the season with Rowland’s team-mate Sebastien Buemi storming from the rear of the grid to cross the line in sixth. Buemi’s charge began in the pit lane after an incident in Super Pole. The Swiss driver nosed into the barrier during his Super Pole run and subsequently had to relinquish his starting position in fifth due to the car being held in parc ferme by Federation International Automobile officials.